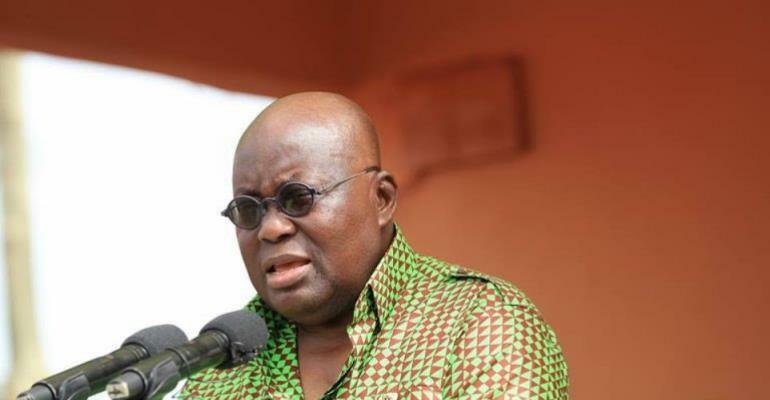 The President Akufo-Addo has commissioned a 40-bed female ward for the Atebubu Government Hospital as part of his two-day working visit to the newly created Bono East region. The Gh¢428,000 project, which was fully executed with the internally generated fund (IGF), was started by the Atebubu-Amanten Municipal Assembly last year as part of measures to upgrade the facility to Municipal Hospital status. Akufo-Addo and his entourage were taken round the ultra-modern facility by the Municipal Chief Executive (MCE) of the area, Edward Owusu and some officials of the hospital. Still at Atebubu, the President commissioned a permanent office complex of the Municipal NHIS, which was completed at the cost of about Gh¢135,000.000. It was started under the erstwhile Kufour administration more than a decade ago but was virtually abandoned by the previous government. Realising the need for the staff of the NHIS to work in a permanent and more convenient office, the MCE, Edward Owusu together with his team mobilised resources to complete the project this year. Meanwhile, President Akufo-Addo has reiterated his commitment towards ensuring fair and equitable distribution of infrastructure and projects across the newly created regions. “When I presented the Constitutional Instruments to the heads of delegations of the newly created regions, I indicated that developmental projects will not only be centered at the regional capitals,” he noted. At an inter-denominational church service at Atebubu, President noted that even though it has taken decades for the Bono East Region to be created, said, “we believe that God’s time is the best, and God ordained it to be created during Akufo-Addo’s time." He indicated that the Regional Co-ordinating Council (RCC) will be sited in Techiman, the capital of Bono East. “The local government staff required to ensure the smooth operation of Bono East region, such as the Regional Chief Director, Regional Planning Officer, and the Regional Budget Officer, are already in Techiman. I will also be presenting eight vehicles and five motor-bikes to the Bono East Regional RCC, " President intimated. He admonished the congregation and residents of Atebubu and the Bono East Region, in general to support the new Regional Minister, Kofi Amoakohene, to work towards the growth and development of the region. President Akufo-Addo also paid a courtesy call on Nana Owusu Acheaw Obrempong II, Atebubumanhene; Yejimanhene, Nana Pemampem Yaw Kagbrese V; and the Supreme Leader of the Tijaniyya Muslim Council of Ghana, His Eminence Sheikh Khalifa Ahmad Abulfaid Abdulai Maikano Jallo.